Architecture is a complex profession, with a wide variety of specialisations available for skilled graduates to move into. When studying architecture in the UK, students must complete a combination of five years study and two years practical work experience before completing final exams. Many UK universities offer programmes in architecture, but selected institutions excel. Factors that go into a university performing well include graduate prospects, industry connections and student satisfaction scores, and you can learn more about the top five UK universities (Guardian University Guide 2019) to study architecture below. If you have any further questions about studying in the UK, do not hesitate to arrange a free consultation with SI-UK in London or Manchester today. The School of Architecture at the University of Sheffield is internationally recognised as one of the leading architecture schools in the world. All teachers at the School include world class researchers and practitioners working at the cutting edge of their fields. As a UK top 4 research School, Sheffield fully integrate research and design at all levels. The University of Cambridge needs no introduction, and its Department of Architecture is widely regarded as one of the best of its kind in the world. Its undergraduate architecture course provides students with their own dedicated design space, and “creativity, curiosity and strong intellectual grounding” are at the centre of what what the University expect and provide. 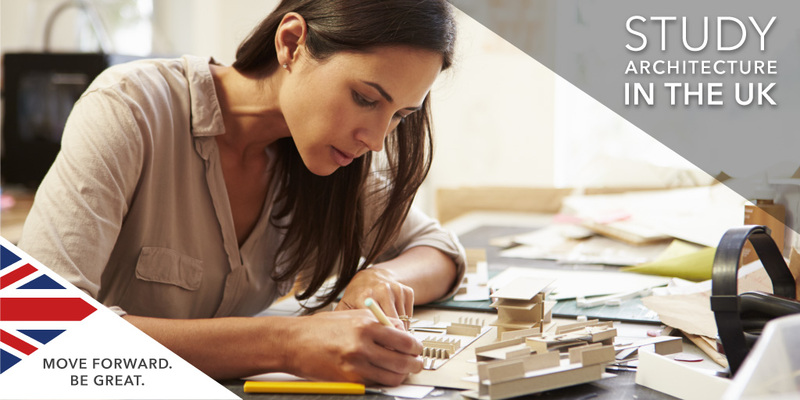 The BSc (Hons) at the University of Bath combines architectural studies with professional experience, enabling you get the most out of your degree. At Bath you can also apply your learning in a practical environment as you benefit from two seperate six-month placements between years 2 and 3. Once your course ends, you can choose to go straight onto the Master of Architecture programme at Bath. The Bartlett School of Architecture at University College London has been voted the UK's best by The Architect's Journal every year since 2001. The Architecture BSc at the School is extremely popular with international applicants and at the end of each academic year all students participate in the annual Bartlett Summer Show, a major exhibition which attracts over 5,000 visitors and is a key highlight in the architectural calendar. Because of the strong links the Architecture and Built Environment department at the University Nottingham has with UK and international companies, graduates from the School have excellent prospects for employment, research training and professional recognition. Its BArch course “teaches many transferable skills, including creative thinking and problem solving” that allows students to complete their first stage of professional training or to graduate and take up a range of other careers. If you need further advice about what is required to study Architecture in the UK, arrange a free consultation in London or Manchester today. Our international consultants can help you find the right course to study in the UK at foundation, undergraduate or postgraduate level.